We pride ourselves on providing a wide range of home remodeling services to our clients that allows you to update and upgrade your kitchen or bathroom without having to do a complete remodel. That means that our contractor services are significantly more affordable than full home remodeling, but have the same amazing transformational results. We Stand Behind our Work for You! 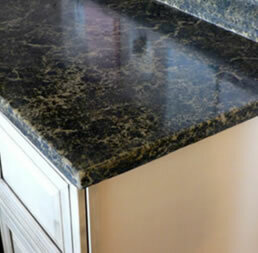 Resurfacing your countertops, bath and shower, and cabinets is a great alternative to replacing new. It’s renovation for the cost minded consumer! Your cabinets say a lot about your kitchen or bathroom, and cabinet resurfacing is the fastest and most affordable way to instantly take your kitchen to the next level. 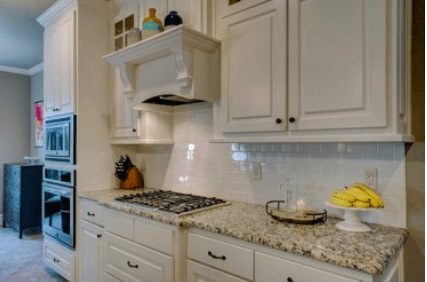 When it comes to cabinets, we can refinish cabinets, restore kitchen cabinets, remodel kitchen cabinets, reface cabinets, re-stain cabinets, and paint and glaze kitchen or bathroom cabinets. 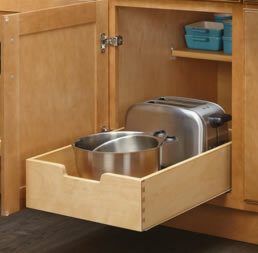 Maximize your home’s storage space by having more efficient shelving space. Whether you want to upgrade your pantry cabinetry or make more efficient space in your bathroom, we can put in pullout shelves, sliding shelves, lazy susans, drawer slides, kitchen pantry shelves, and wall units. Our free estimate will help you see how easily and affordably you can improve your current shelf storage setup. You’ll be amazed how much space we can save you! In your kitchen and your bath, your counters get a lot of use, and if they’re outdated, they also bring the room down visually. We offer countertop resurfacing, countertop refinishing, and countertop refacing, as well as new granite counters or quartz countertops – all of which can dramatically improve the look and feel of your kitchen or bathroom. If you know it’s time (or maybe past time) for a bathroom remodel, you’ve come to the right place. Some of our bathroom remodeling contracting services include tub refacing, tub glazing, installation of bathroom countertops including granite or quartz countertops, installation of shelves, and cabinet resurfacing or refinishing. We also perform bathtub repair, so if you have a crack or a bouncing tub, give our experts a call. Check out our blog for the latest information on our services! At Bravo Kitchen & Bath, we specialize in modernizing your kitchen cabinet and other household surfaces by using the best products and practices available in the market today, resulting in beautiful finishes that you can be proud to own. We have over 20 years of experience in kitchen and bath resurfacing that we put to work for you and offer free consultations so you know exactly how much you’ll be paying before the work even starts. 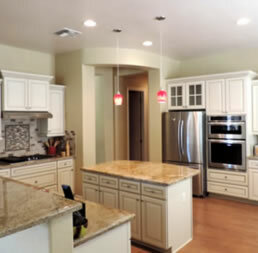 You can read some of our reviews from happy customers about our high standard of ethical business practices and high-quality work at competitive rates – whether it’s kitchen cabinet refacing or refinishing to help create a more contemporary kitchen, upgrading your pantry cabinetry, or bathtub resurfacing, we’re Phoenix remodeling contractors that get the job done right at affordable rates. Call us today at (480) 633-0342 for your own personalized estimate! 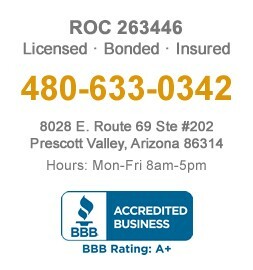 Call us at 480-633-0342 for a Consultation.